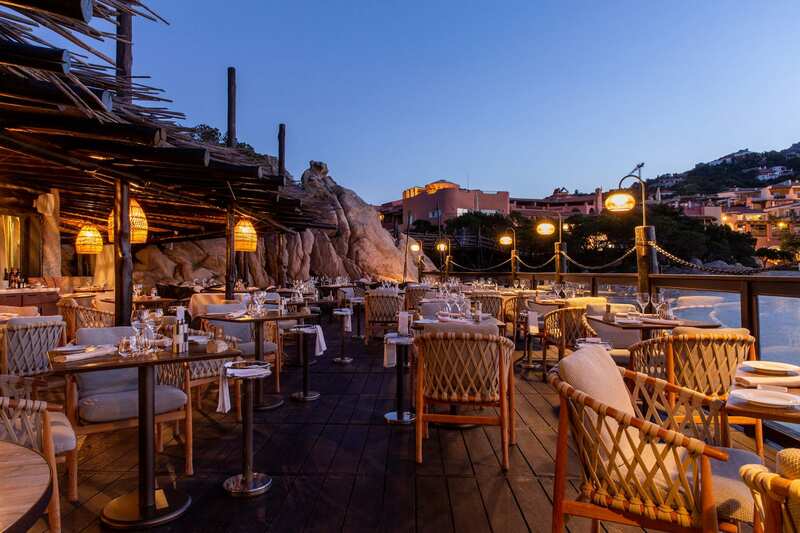 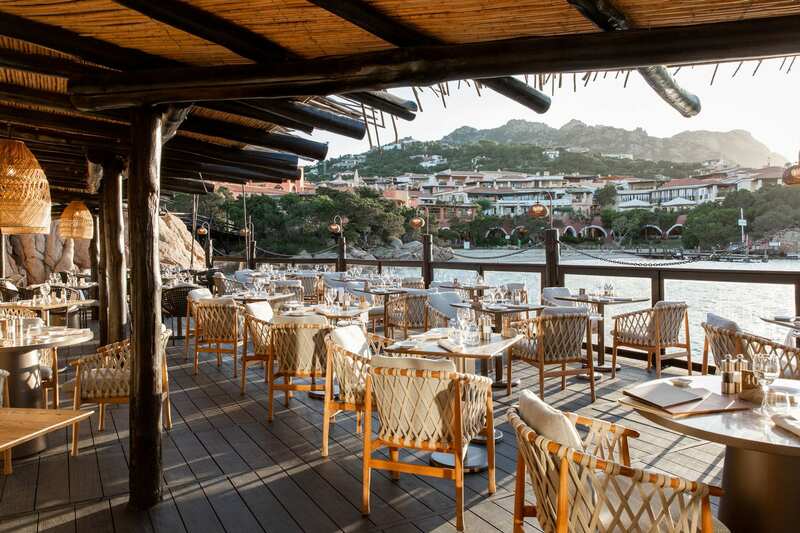 London-based design studio Blacksheep has recently redesigned Quattropassi al Pescatore (formerly Il Pescatore), a renowned seafood restaurant in the heart of Porto Cervo on Sardinia’s breath-taking Costa Smeralda. 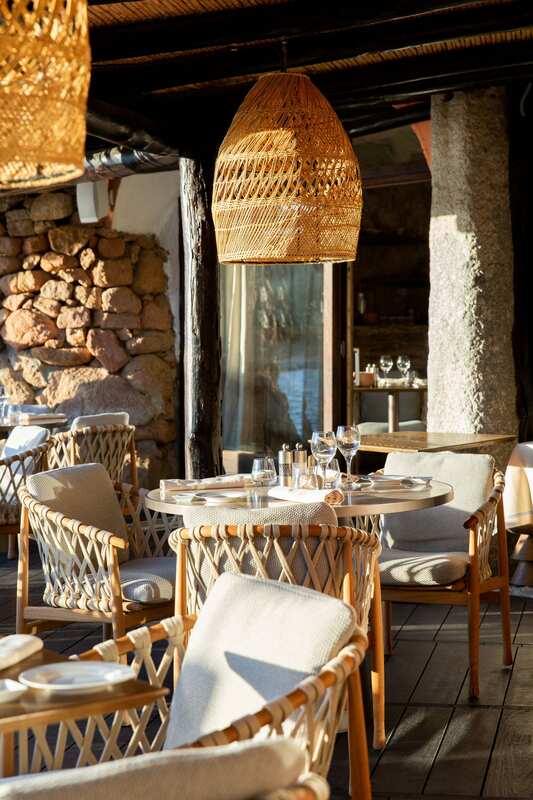 Set within the quintessentially Sardinian Hotel Cervo, the restaurant is the first of five spaces to be redesigned by Blacksheep. 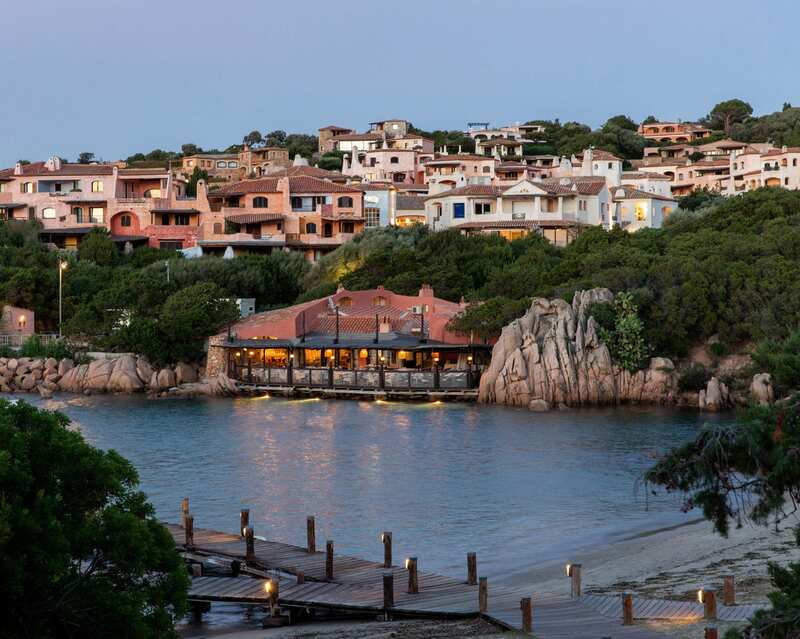 Built by Prince Aga Khan in the 1960s, Hotel Cervo bears a distinctive organic architectural style for the region. 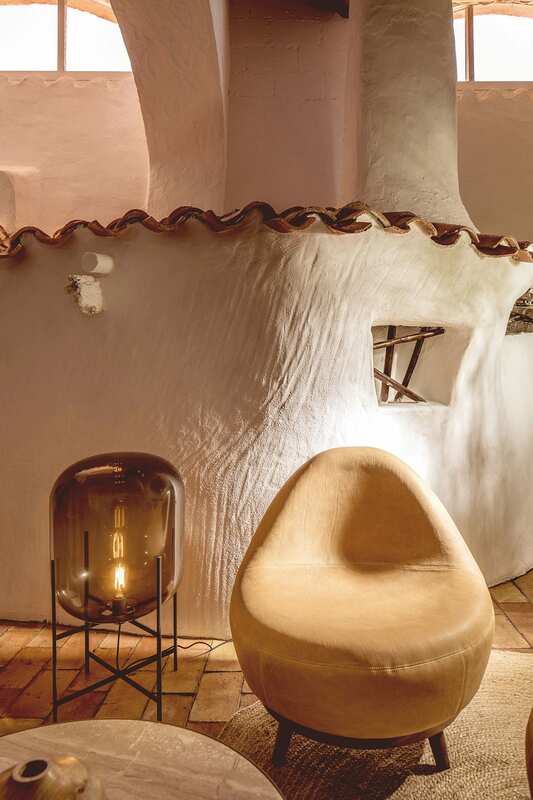 The intimate connection to nature is the essence of the site and played a central role in the redesign of the space. 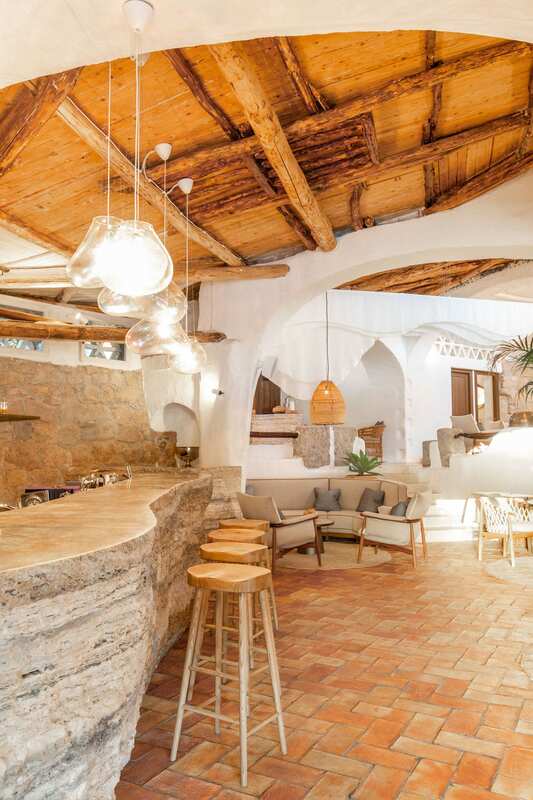 Blacksheep chose to retain the fabric and unique character of the architecture and focus on enhancing this with new design elements and the introduction of classic furniture pieces. 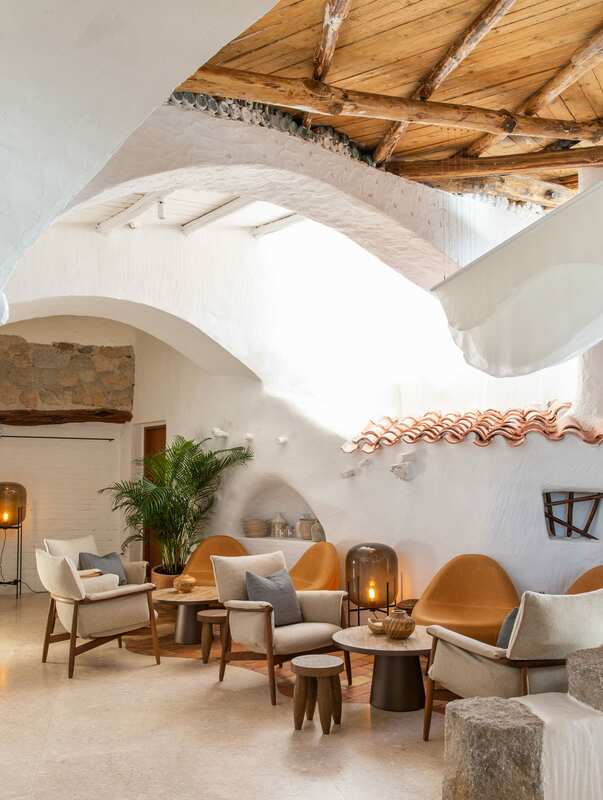 The overall narrative introduces a sense of contemporary luxury while proving a timeless aesthetic, executed through a sensuous new colour palette, dynamic material exploration and a connection to nature. 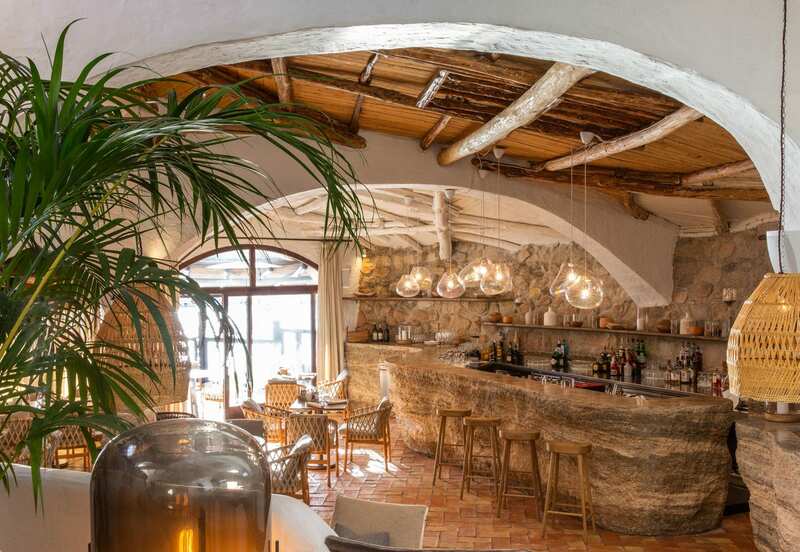 The interior spaces have been redefined with monolithic, sinuous travertine blocks, creating a new bar, fish counter and a host desk. 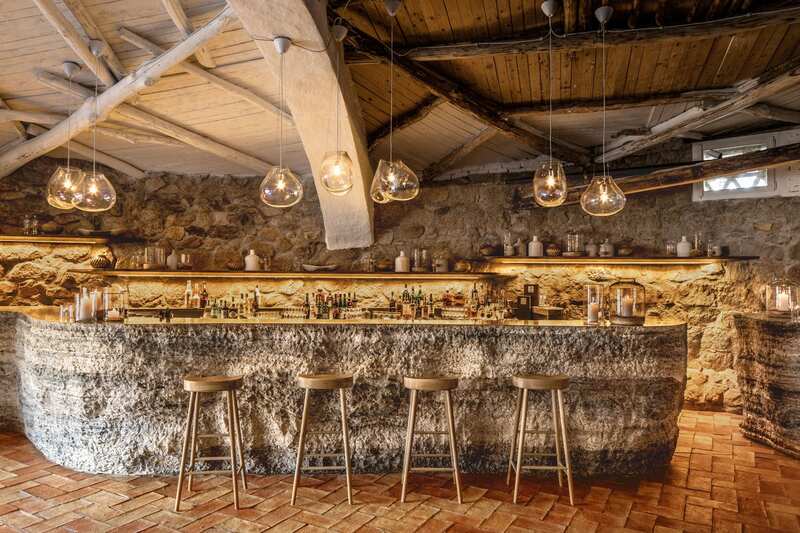 Sculptural glass pendant lighting is juxtaposed with rough, unfinished stonewalls and exposed roof beams, celebrating the natural elements and the original architecture. 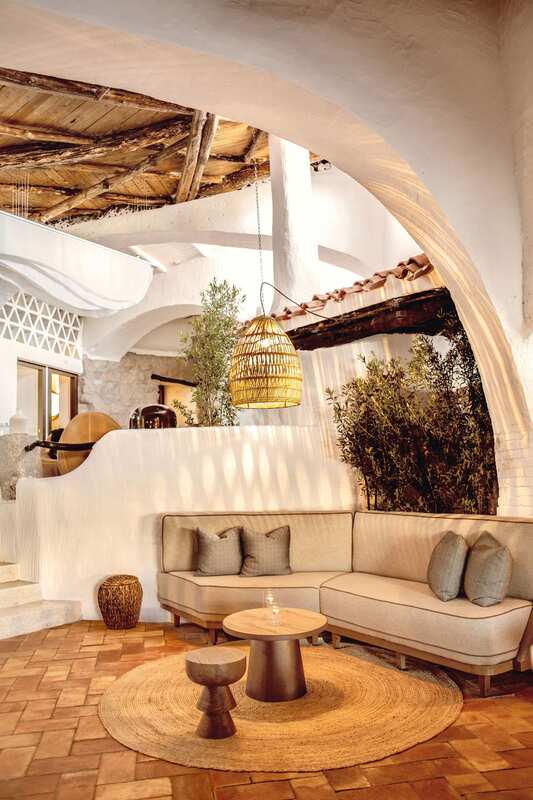 Nature continues to be a theme through the dressing of the space with the use of terracotta tiles, rattan pendants and bespoke timber banquettes. 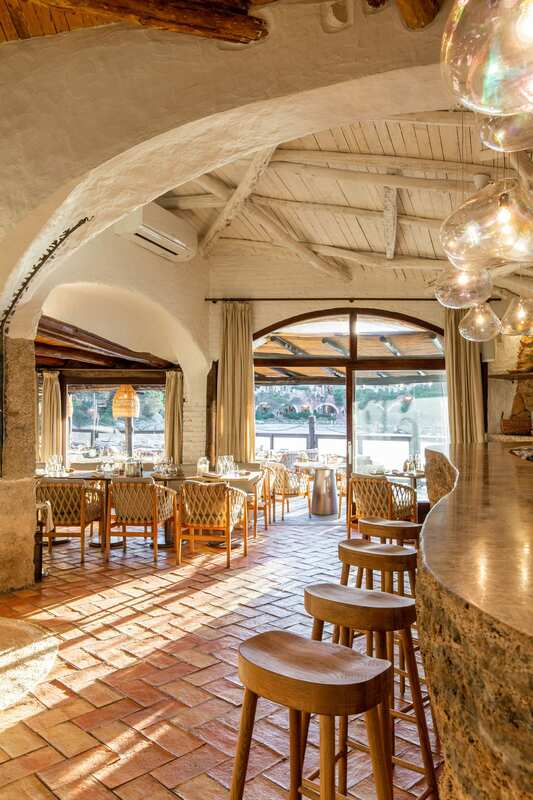 The dining area seamlessly transitions to drinks and dance floor, while a new feature bar has been created with a travertine stone DJ booth. 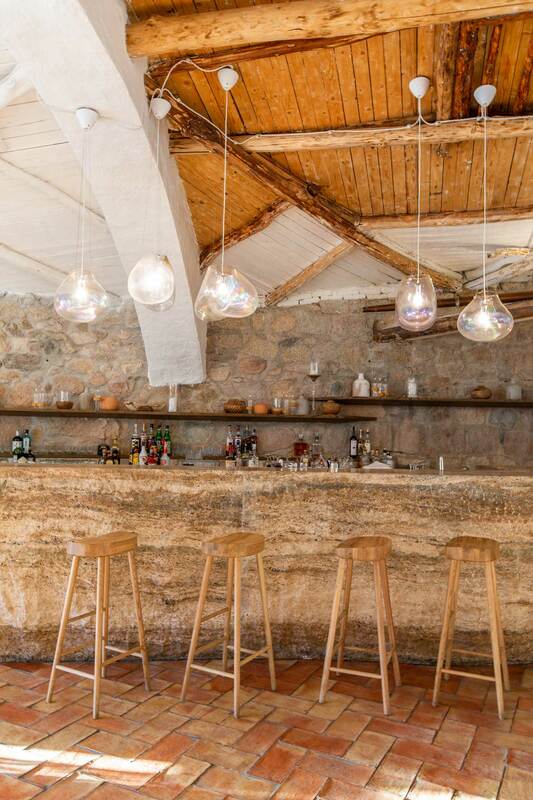 Travertine can be seen in numerous key design elements, to resonate with the rawness of the Sardinian landscape. 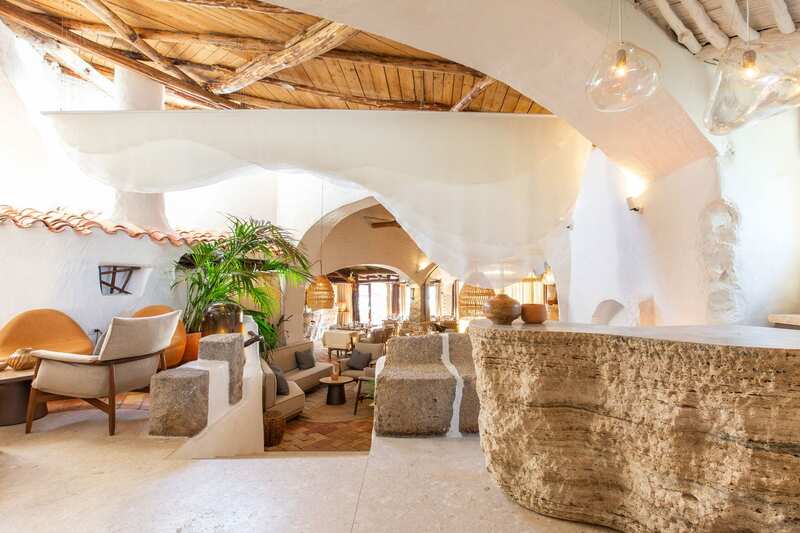 Local materials and construction methods were closely referenced and utilised during the redesign, such as lime plasterwork wall, traditional Sardinian timber roofing, unfinished local stone corbelling and rustic terracotta floor tiles.